From September 2015 we have been using the new National Curriculum for Primary Schools. We are very excited about this and the opportunities it brings for us to have a more topic based approach to the Curriculum. 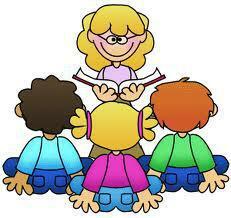 Visit each class page to see what the children will be learning about through the year. Assessment is completed in school to find out if the children are working at age expectations and what the next steps are going to be in their learning. As the curriculum has now changed, so too has how we assess the children. As stated above we have decided to use the resources for planning produced by Lancashire. A part of this has been for them to develop assessment which matches up to what we are expecting the children to do with regard to the new curriculum. All subjects are assessed regularly through ongoing teacher assessments using the outcomes of work, observations and discussion with pupils to inform this. How do we teach your child to read? We follow a systematic approach to the teaching of phonics. When children enter the Foundation Stage we focus on hearing sounds within words and segmenting (chopping up) words orally. Very soon the children learn to read and write letter sounds. The children then progress through the Phonics phases throughout Foundation Stage and Year One. At the end of Year One the children take part in a Phonics Screening Check to assess their progress. Children also take part in Guided Reading sessions within the classroom throughout the week and are given chance to not only read but talk about the book and what has been read.